Risks must be taken, because the greatest risk in life is to risk nothing. The person who risks nothing, does nothing, has nothing, is nothing, and becomes nothing. He may avoid suffering and sorrow, but he simply cannot learn and feel and change and grow and love and live. 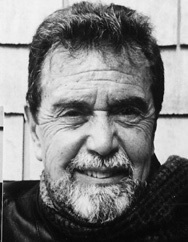 Felice Leonardo Buscaglia was an US-born Italian author, speaker and professor. He is commonly known for his thoughts on life and love through various television appearances and his books.